It’s with great anticipation and pleasure to announce that in Aug 2018, we are relocating to a more comfortable and spacious building. Our new location is 3675 El Cajon Blvd, San Diego, CA 92104. However, our phone numbers remain the same at (619) 284-6212 and (619) 563-5616. Our primary email address is also still the same info@deluxeautobody.com. The new and better location is close to North Park and Normal Heights and will provide you with more convenient parking. Our business, including website, email, and telephones, will be fully operational during the moving process and you will not experience any changes or delays in service, production, or delivery during that time. Since we first opened our doors in 2005, your loyal business and support are the main reasons why we’ve grown over the years to be who we are today. At the former location, the limited parking and tight working spaces were no longer acceptable. For the past two years, we’ve been searching for the ideal location and are happy to tell everyone that we’ve finally found it. As of August 2018, we are no longer at this address (4252 40th Street). As a valued customer, vendor, business partner, we thank you for taking the time to update your records. 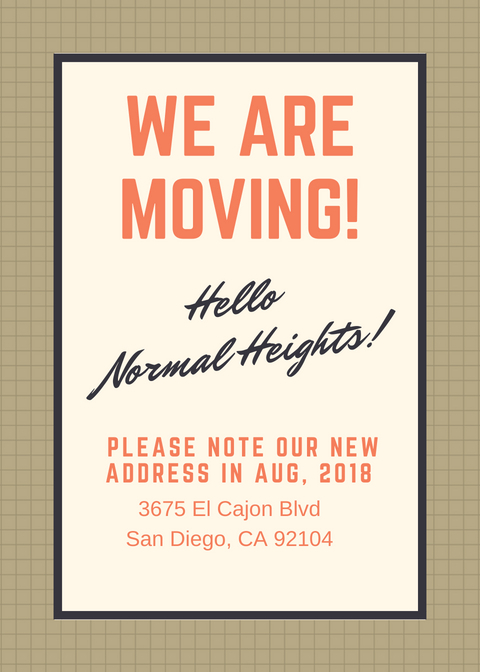 Please feel free to contact us at (619) 284-6212 with any questions you may have concerning the new location or our services. Once again, we sincerely thank you for your support from the bottom of our hearts and look forward to continuing serving you at our new address!